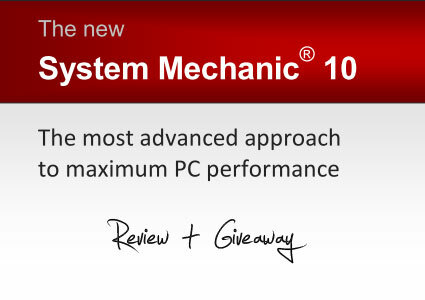 The System Mechanic 10 giveaway is over. Once again, many of you expressed interest in winning this excellent software. Here are the lucky three who have won a System Mechanic 10 license worth $39.95 each. Thanks to everyone who participated. Don’t be dissapointed if you didn’t win. I will have another giveaway soon. In the meanwhile, subscribe to my RSS Feed or email newsletter to ensure you don’t miss out on the next awesome contest. Thanks for the key sir. I have received the key. Congrats to all the winners. I am sad I missed the contest. Congrats siddharth, Jackub and Cosme F! Enjoy the software. Congratulations to the winners. System Mechanic 10 looks like a great piece of software. Congratulations to all the Winners. I am very late to participate. How can I get System Mechanic to finish de fragmenting the registry? System Mechanic starts de fragmenting the registry when I start my computer. However, after the countdown completes it doesn’t do anything, windows boots up normally. It used to work, and for some reason it just won’t work anymore. Does anyone have any ideas for how I can get System Mechanic to finish de fragmenting my registry? No, it is still working. I start my computer. However, after the countdown completes it doesn’t do anything, windows boots up normally. It used to work, and for some reason it just won’t work anymore. Does anyone have any ideas for how I can get System Mechanic to finish de fragmenting my registry? However, after the countdown completes it doesn’t do anything, windows boots up normally. Thanks…..
Is it, I really does not know, it countdown. To read about it, 7 doesn’t seem to do anything that 6 doesn’t… Im susspecting the only differnce is 7 is vista compatible (which i do not use or plan to upgrade to). Anyone out there know if 7 is worth upgrading to? Thanks…..
Congrats to all the winners. Enjoy your winnings! Congrats to the winners, what a great contest.